Celtic are celebrating a trio of awards by the Scottish Premier League for their performances in November. 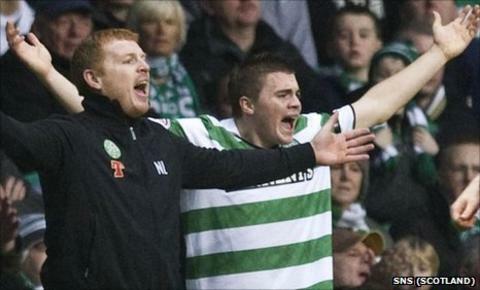 Neil Lennon won manager of the month for guiding his side to four league wins, closing the gap on Rangers at the top of the table to four points. Player of the month Hooper scored goals against Motherwell and Dunfermline and a hat-trick against St Mirren. Winger Forrest took the young player award after impressing for his team throughout November. He also won the young player's award for September.